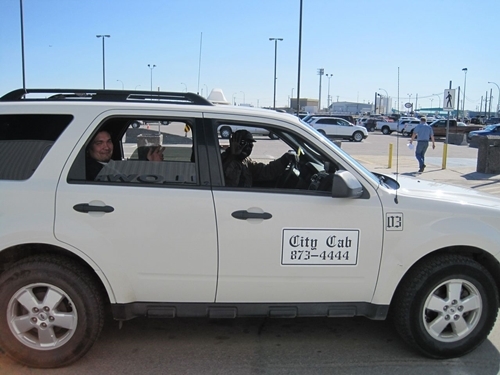 City Cab, Yellowknife’s taxicab company is introducing new safety measures after one of its drivers was killed on the job last month. The plan is to make it easier on cab drivers to send an emergency dispatch signal through their tablets by getting new software as well as getting drivers panic alarm buttons in case of an emergency said General manager Shirley McGrath. Driver safety once again became a major concern after the events of last month when City Cab driver Ahmed Mahamud Ali was found unconscious near the hospital in the back of his taxi. 49-year-old James Schiller and 18-year-old Elias Schiller of Yellowknife have both been charged with murder. McGrath also stated City Cab applied to the City of Yellowknife applied for increased rates of taxis a week before the death of Ali. The current rate of a taxi in Yellowknife is $4.50 and the meter rate is 20 cents for every 100 metres.